Davis High School’s Symphony Orchestra, Baroque Ensemble, and Chamber Orchestra are led by Angelo Moreno. Students also have a chance to participate the the state-wide CMEA/CODA All-State Orchestras. 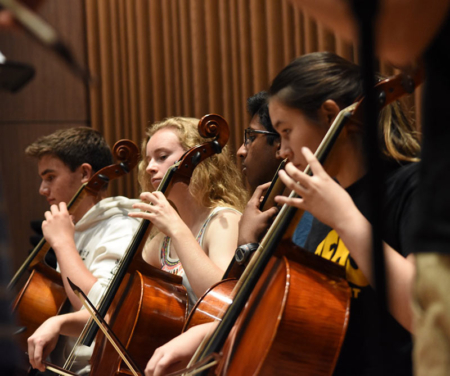 The program holds annual auditions for the Symphony Orchestra and Baroque Ensemble, and hosts a Concerto Competition. Orchestra Alumni can stay involved in the program after graduation.